If you want to access the files on your site, FTP is a great option. It’s easy to use, fast, you can upload and download files with ease, and perform most file operations with the click of a button. However, your FTP passwords and all subsequent data are transferred over the Internet in plaintext. Once you understand the dangers of this, you realize how irresponsible that is. Using those credentials, someone can easily take over your site – and then hasta la vista! 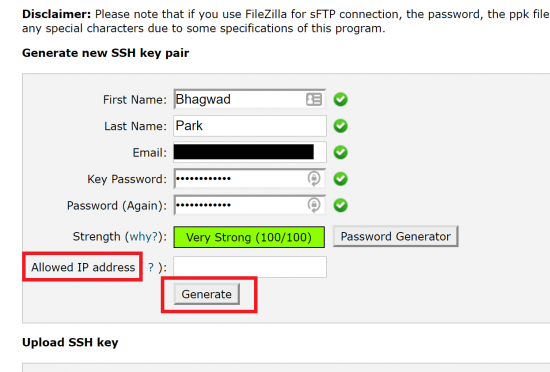 The alternative to plain FTP is SFTP. 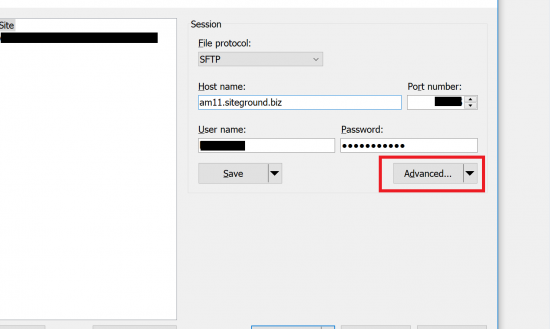 This is a secure connection between you and the FTP server that encrypts everything between the two end points. 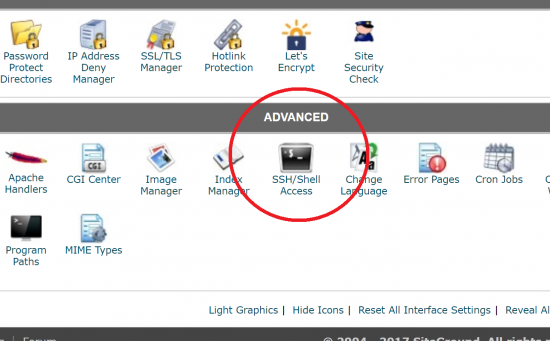 This tutorial will show you how to access your site over SFTP via the cPanel interface. Of course, you can also use cPanel’s “File Manager”, but that’s a browser based app and your normal right-click shortcuts won’t work to quickly access file operations. In addition, you can’t drag and drop files, and uploading takes you to a new tab, after which you need to refresh the original. 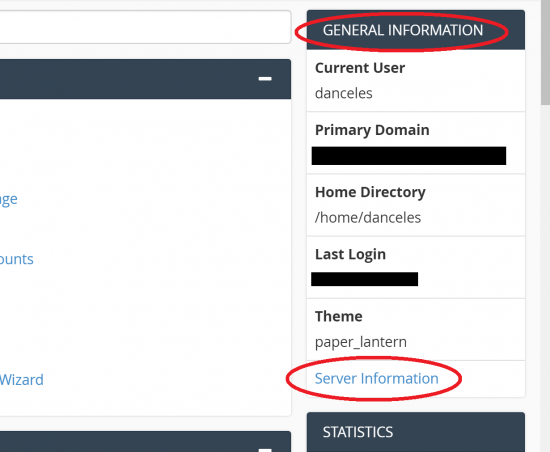 If you regularly access the backend of your site, then there’s really no substitute for encrypted FTP – or SFTP. The “S” stands for “Secure”. But setting up SFTP can be complicated. This tutorial will walk you through all the steps from start to finish using the free WinSCP FTP program. Let’s get started! Now that you’ve generated your private key pair, it’s time to download it. Scroll all the way down to the bottom of the page. Here you’ll see a table with all the key pairs you’ve generated so far. 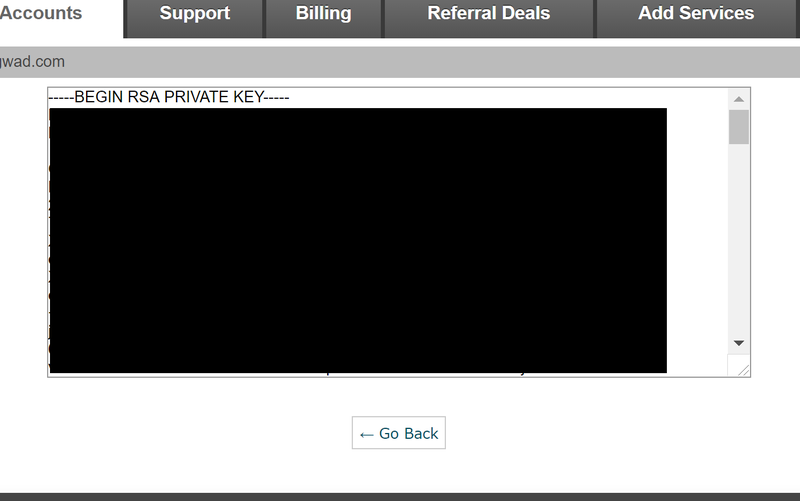 On the right-hand side of the table, you’ll see the “Private Key” link for the one you just created. Click that link. 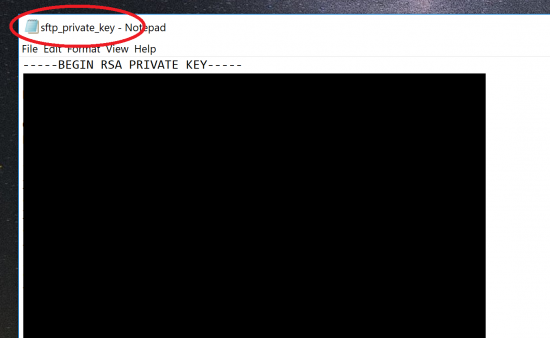 Copy the ENTIRE private key, paste it into a plain text editor like Notepad or Notepad++, and save it. 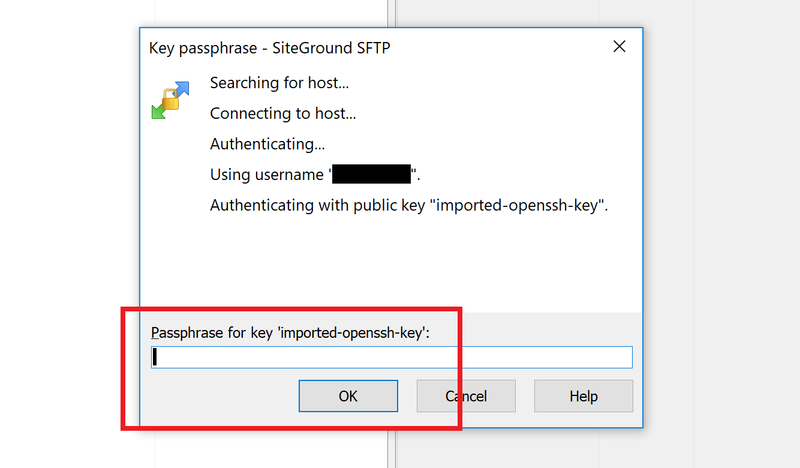 In the screenshot below, I’ve used the filename sftp_private_key. There’s no need to give the file an extension yet. Save this file in a known location on your computer where you can access it later on. We’re done for the moment. 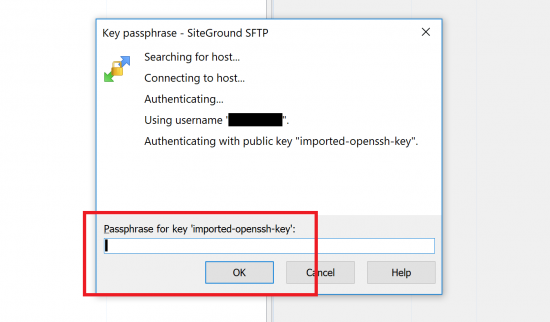 Now let’s download WinSCP and get the information we need to use SFTP. For FTP and SFTP, my preferred software is WinSCP. It’s an open source software application that runs on Windows. 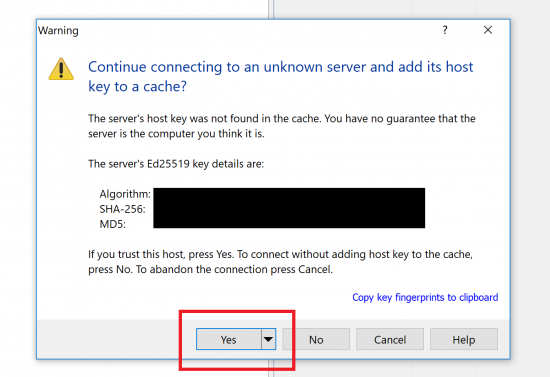 If you don’t have windows, you can read the instructions here and follow similar steps on your own FTP client. Each hosting provider will have a different “domain name” with shared hosting. For this site of mine on SiteGround, the domain name is “siteground.biz”. For InMotion, it’s “inmotionhosting.com”. 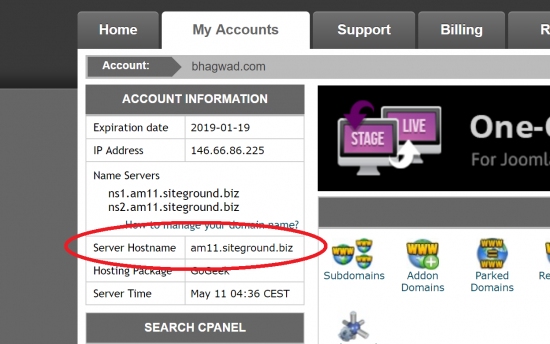 Other hosting providers have different names that you need to append to the server name. The end result should be a Fully Qualified Domain Name (FQDN) of the form. It should look like a web address with a subdomain and an extension like “.com”, “.biz” or something like that. 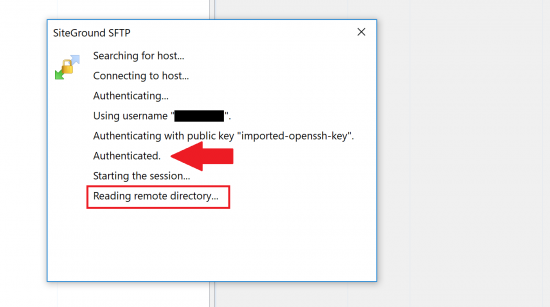 Can’t Find the Hostname with Domain? 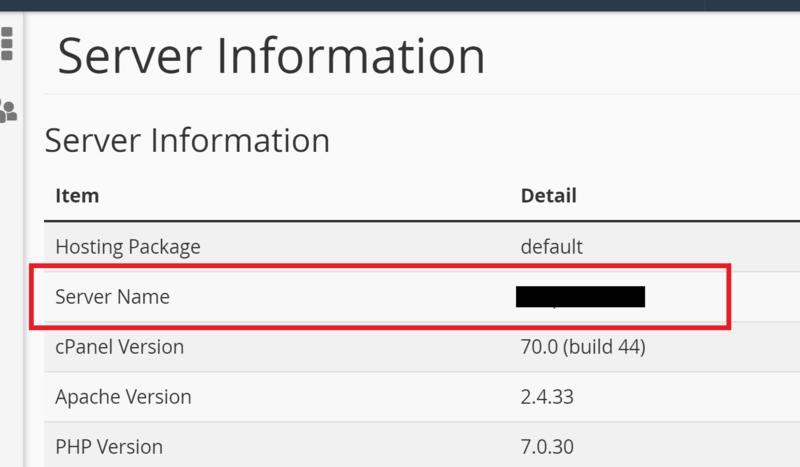 If you can’t find the extension to append to the Server Name, try and use your own domain name instead. Since your domain name is pointing to the server on which it’s located, it should work just fine. Most of the time, the port number for an SFTP connection will be 22. However in some circumstances, the hosting provider might decide to change it to something else. 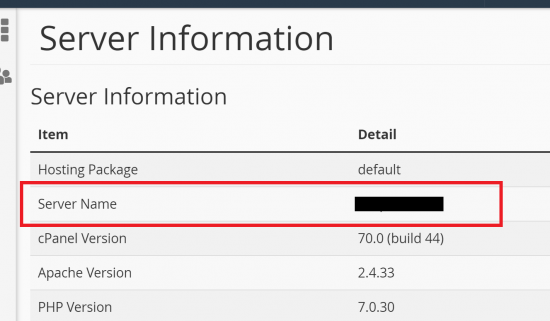 Check your provider’s documentation to see if they have some other SFTP port. 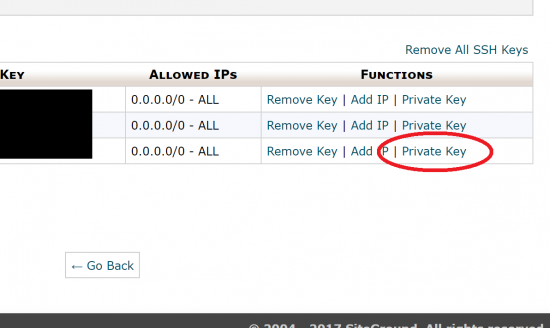 For example, SiteGround’s SFTP port is 18765. If you can’t find anything, just go with 22. 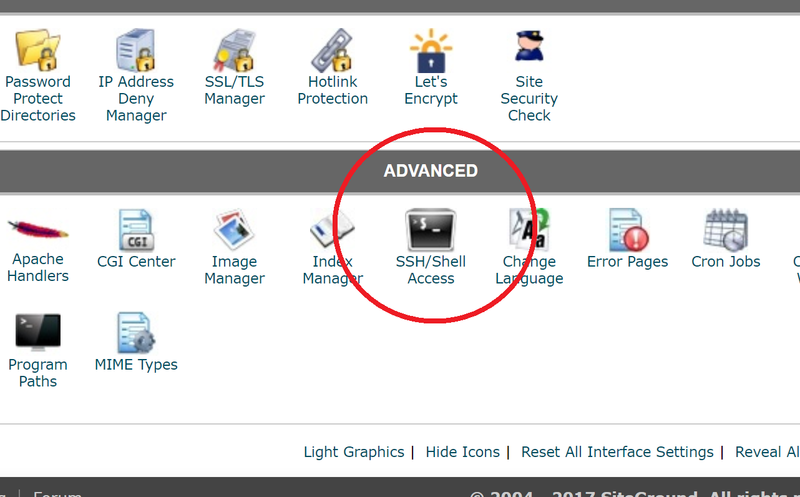 Most of the time, this will be the cPanel username and password that you use to log into your hosting’s cPanel. Sometimes providers might have a different combination, but in general this is the one you use. If it doesn’t work, check your hosting provider’s documentation to find out if it’s something different or not. You should already have your private key password from Step 1, and your private key file from Step 2. 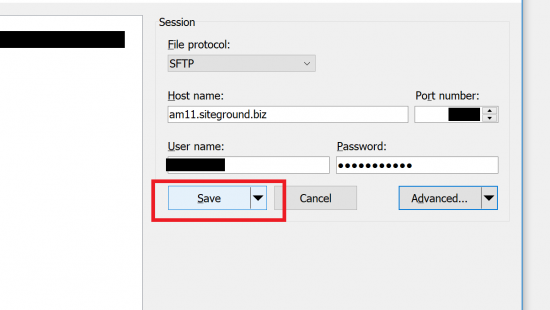 Fire up WinSCP, and in the “File Protocol” dropdown box, choose SFTP. In the “Host name” field, enter the fully qualified domain name you obtained in Step 3. Also enter the port number you got in the previous step (22, most of the time). 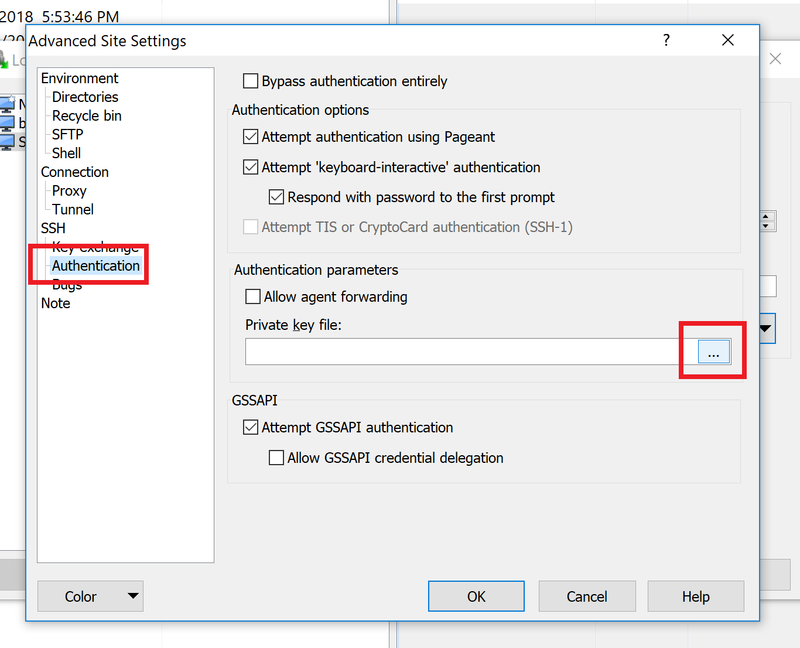 In the “Authentication parameters” subsection, we need to select the private key file from Step 2. Click the button with the three dots to open the file dialog box. Choose the option to show “All files (*. *)” and select the private key that you saved earlier in Notepad. 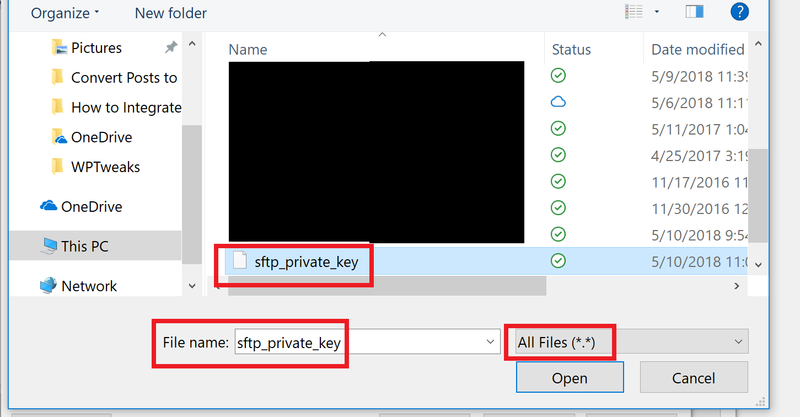 Save the new file with a “.ppk” extension (the standard for PuTTy files) and you’ve successfully imported your private key into WinSCP. Save your advanced settings and you’ll be back to the main SFTP credentials scene that we saw in Step 4. Press the “Save” button to ensure that your settings will remain when you get back and you won’t have to do all this over again! 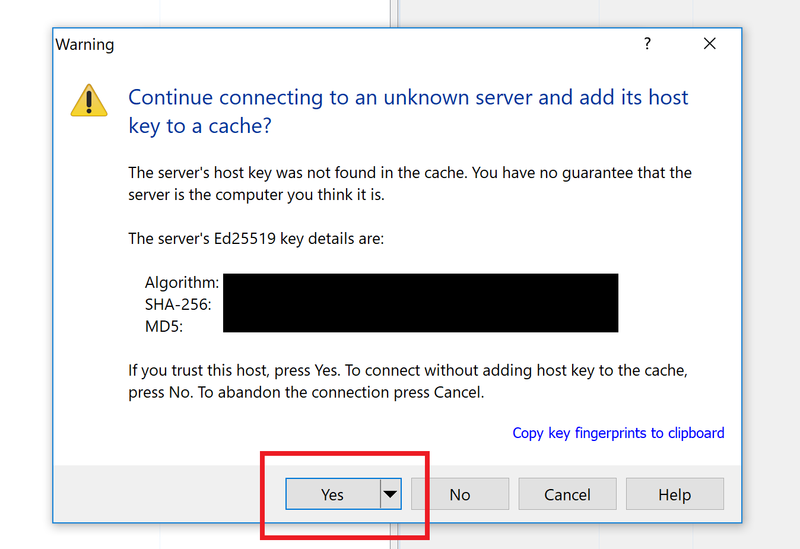 Click “Yes” to save the host key and connect. 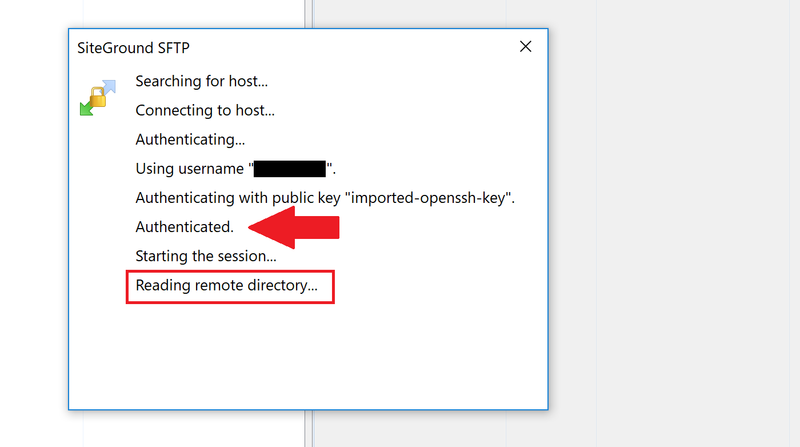 Now it should ask you for the private key’s password that you created in Step 1 again. And once you enter the correct password, you should successfully connect! And that’s it! You have now created a secure FTP connection between yourself and the server! Your passwords and data transfers are now entirely encrypted with strong SHA-256 bit data connectivity. You can’t get any safer than that!